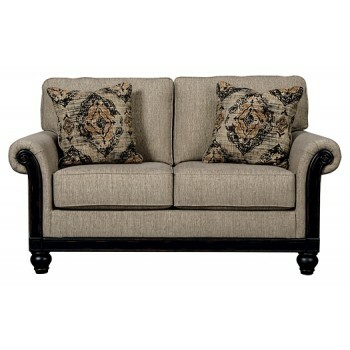 Love how this loveseat gives stately elegance a sense of newfound flair. Its richly detailed exposed frame and scrolled, rolled arms are hallmarks of traditional style—while the indulgently soft and light linen-weave upholstery is a refreshing twist. The result is a decidedly classic look with the modern comfort and ease you crave.